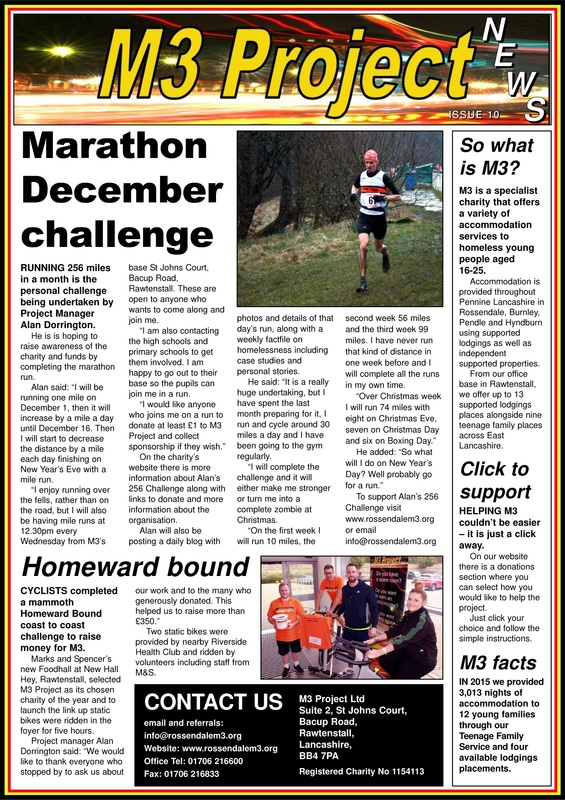 In total, Alan ran 269 miles and climbed a distance of 25,514ft over the month – just 3,500ft short of Everest. On the middle week the friends ran the equivalent of four marathons, but Alan admitted he hit the ‘wall’ when he reached December 19 while doing a lesser distance of 13 miles. 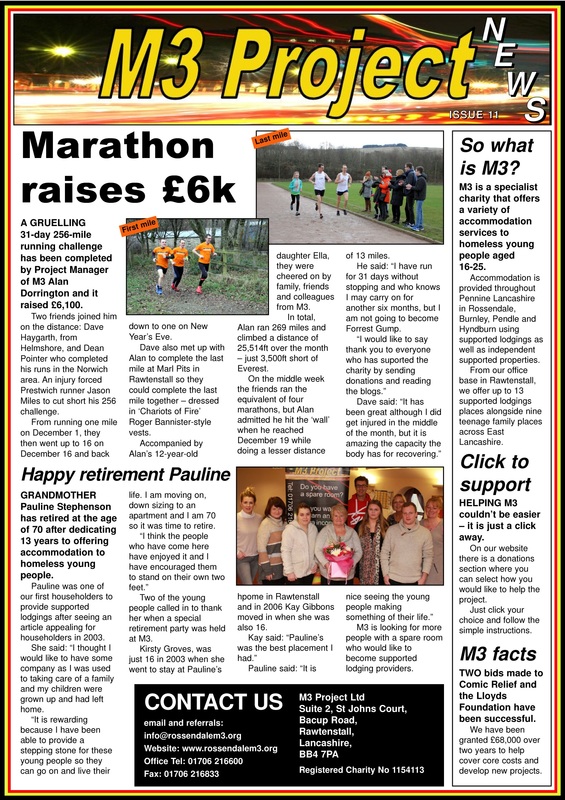 Here is the 8th edition of our regular Newsletter. 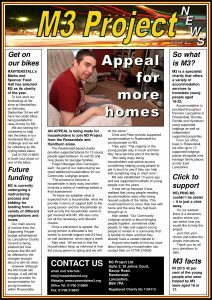 Please click here – Issue 8 – to open a full size version in a separate window. Throughout the month of December, a great number of individuals, businesses and organisations supported our Christmas appeal and helped us to raise the grand total of £2989.42! Rossendale Methodists supported us with carol singing at Asda and raised £264.56, the pupils of YR8 at Fearns Community Sports College got stuck into the JJOrmerod Challenge and raised £202.86 and the staff of JobCentre Rawtenstall raised £77 with a Christmas message board. We had donations from local businesses Thomson FM, IT Purchasing Consortium and NCS Support as well as many individual donations. Many, many thanks to all of those who donated or raised money for us – it will help us continue to support young homeless people and families through the next year. Lancashire County Council has recently confirmed proposals for further budget savings totalling £65m over the next 2 years, in addition to budget savings already announced earlier this year and previously. A number of services provided by the Council will be affected, including the Supporting People (SP) funding programme providing housing support to vulnerable groups across the County, and including M3’s young people and young families. It is proposed that LCC will cease its entire non-statutory provision SP provision from April 2016, a loss of up to £11.7m to supported and sheltered housing for single people, young people at risk, homeless families and those with mental health issues. Also affected will be refuges for women experiencing domestic violence, alarm services for elderly people and floating support services. Effectively, the entire SP programme of supported accommodation will cease, apart from a very small element that is deemed statutory. 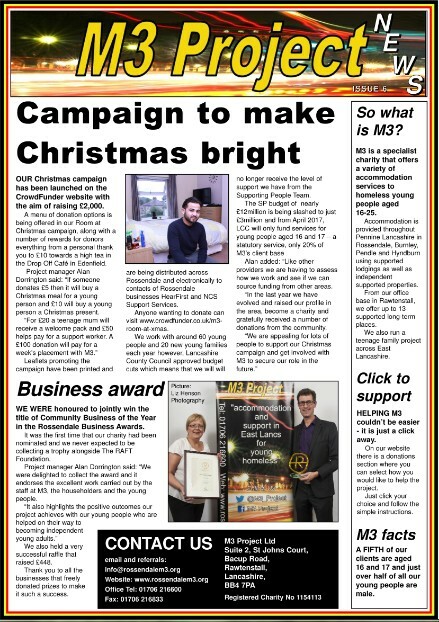 Unfortunately, for M3 this means from March 2017 we will lose most, if not ALL of the funding for our accommodation and support for vulnerable young people in East Lancashire. 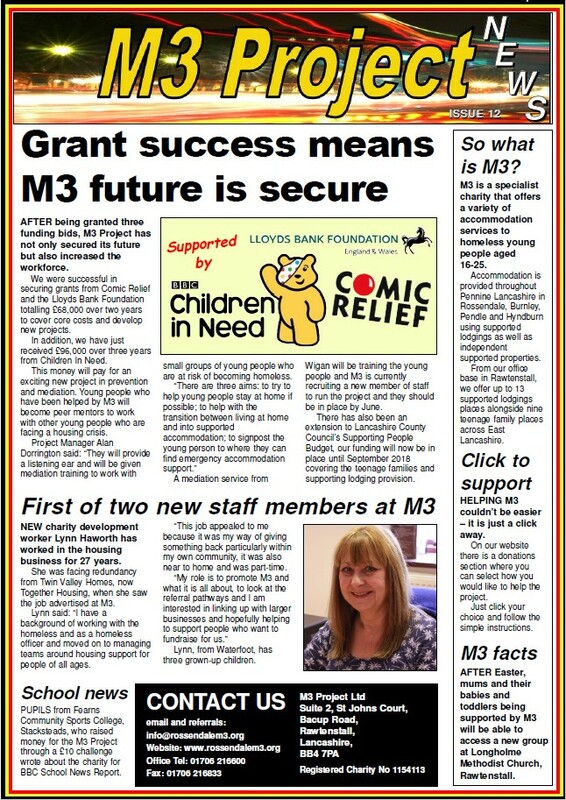 M3 staff and Trustees will be working hard over the next year to find funding for as much of our service as we can, but in a hostile funding climate and with many other organisations locally and in the County also seeking funding, it will be hard to fully replace the large amount funding we will lose ‘overnight’ in 2017. 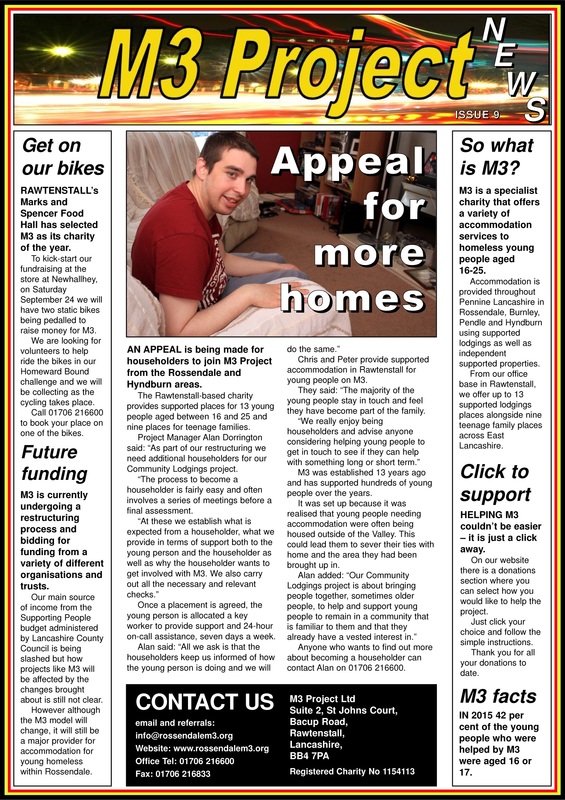 We hope that M3 will be able to continue to provide some accommodation and support to young people around East Lancashire, as we have done over the past 12 years and will be keep our Householders, young people and partners informed about developments and our progress toward this. In the meantime, please help us share details of our Christmas 2015 Appeal so we can start to bring in donations to fund our ongoing work.